Most people would never think of Vietnam’s coffee as a premium coffee but the nation has been producing it since it was introduced by missionaries from France in the mid 1800s. 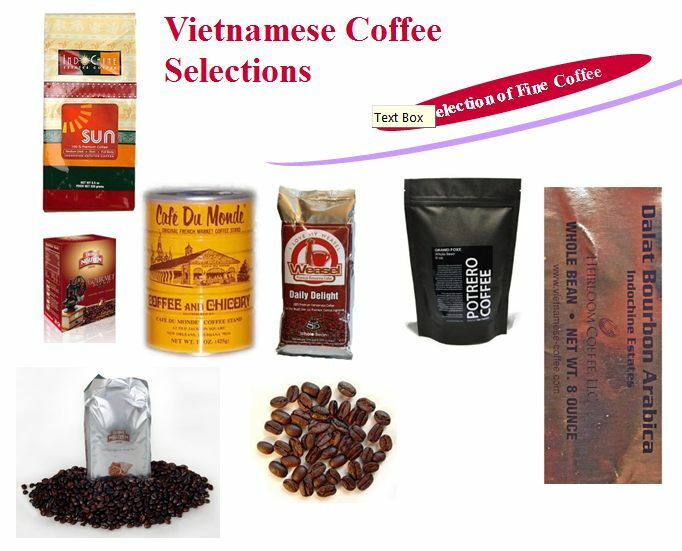 In fact, Vietnam is one of the largest exporters of coffee in the Asian coffee markets. Turn over your next bag of Asian or regional blend, you’ll find that they are likely included in the list of countries that included beans in your purchase! A lot of the Vietnam coffee beans you see will include Robusta coffee beans, so it pops up a lot in blends across the world, whether instant, ground or whole coffee beans. Vietnam has ideal conditions for growing coffee thanks to its many micro-climates. For instance, coffee grown on the north slope of a mountain is quite different from that grown on the same mountain but on the southern slope. In Vietnam, coffee plants are cultivated up to an altitude of 3600 feet and not just one species of bean. In fact, Vietnamese coffee usually contains more than one kind of coffee bean, such as Arabica and Robusta beans which are typically mixed together to make a delicious blend. The secret to the wonderful flavor of Vietnamese coffees is undoubtedly the coffee roasting method. Beans are roasted slowly at lower than standard temperatures so that the beans do not burn. Roasting slowly in that way causes the beans to have a dark color similar to dark roasted beans but with one big difference—while dark roasting can burn away the oils that give coffee its flavor, slow roasting seals in the flavor, creating a much stronger aroma in the bean, and a much fuller flavor. Also, you will find that some spices are occasionally added to Vietnamese Coffee, esp. chicory and essence of hazlenut, at least in the coffee we have in the cupboard! The people of Vietnam take their coffee seriously; they even have their own unique kind coffee maker. A Vietnamese coffee phin when it has been fully assembled looks a bit like a traditional top hat upside down. It is placed over the cup or mug you’ll be drinking from and the coffee is spooned into the phin. Water that is close to boiling is then poured in and the brew drips into the waiting cup or mug. The Vietnamese like their coffee with a real kick to it. You’ll find it similar to their food, cooked with a strong distinctive flavor. In the cup, you’ll notice how black and thick it is compared to a coffee latte. 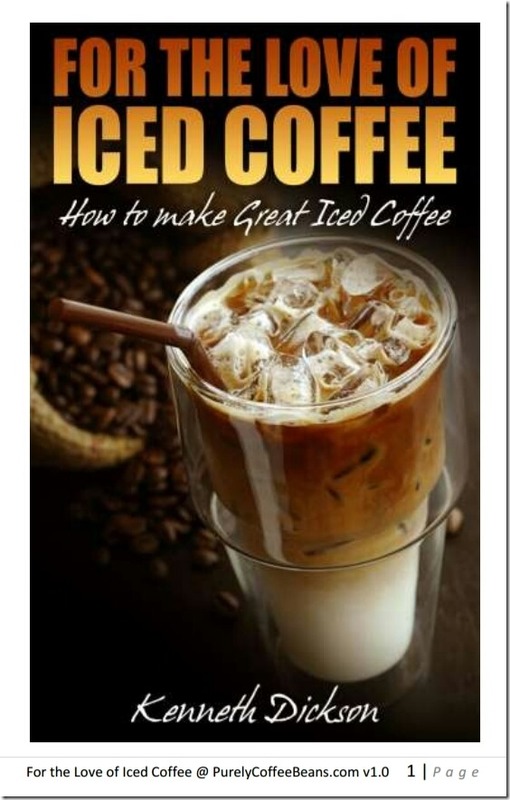 Since the country has such a warm climate, coffee is often poured over ice cubes and mixed with sweetened condensed milk added. This is called Cafe Sua Da and is quite popular in coffee shops throughout the country. You may wish to read more about how to make this kind of coffee at our Making Vietnamese Style Coffee page. The Boba drink is also a favorite, sometimes referred to as bubble tea in other countries, but Boba is made from fresh coffee, with the usual condensed milk poured in, and balls of tapioca that resemble pearls; the drink is poured over ice and shaken cocktail-style before being strained into a glass and drunk through a thick straw. Also available from Vietnam is Kopi Luwak, also called Civet Coffee. The Civet, an animal that looks like a cross between a cat and a raccoon, eats ripe coffee cherries and passes the undigested beans. These are gathered, thoroughly sanitized and sold as one of the most expensive coffees in the world. The beans have a unique flavor caused by enzymes in the Civets body that is unrivaled by any other coffee! Although neighboring Indonesia produces the majority of Kopi Luwak coffee, Vietnam exports plenty of it, too. Vietnam’s coffee is becoming quite popular in North America in recent years. Although you probably won’t find it in your local chain grocery store, it’s well worth seeking out in specialty stores or an online shop. 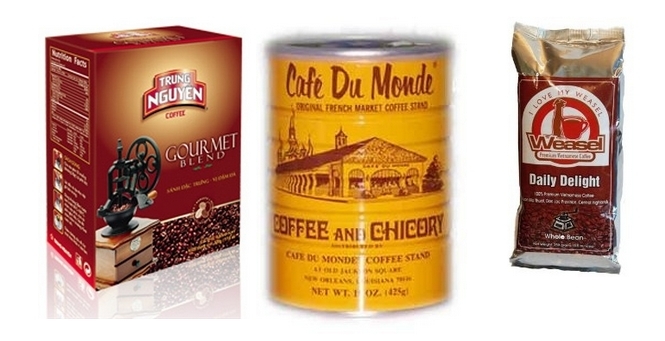 To find more great Vietnamese Coffee Brands & Blends, click on this link. And stay tuned to Sunday when we’ll show you how to make your own Vietnamese coffee in a coffee phin… !